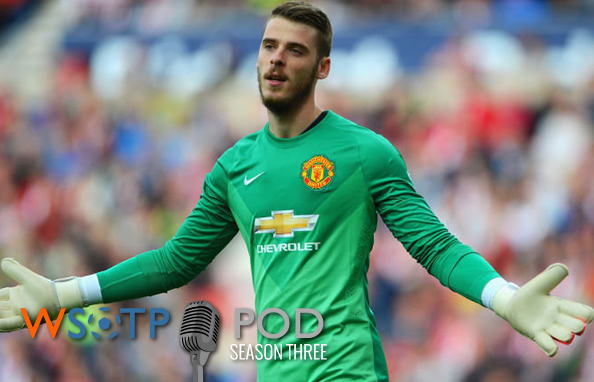 Transfer Deadline Day is upon us, and if you’re anything like #Pondcast hosts D.J. & Jeremy, it’s kind of like Christmas in September. The twice annual tradition gives us many stories to track, crushed hearts to point and laugh at, and angry tweets to direct towards our favorite clubs. And with it being such an important event in the yearly football calendar, we decided to move our recording time for this podcast to cover as much of it as we possibly could — finishing recording just 13 hours before the window slams shut. Of course, a few things have happened since then, so give us some leeway. We’ll also spend some time talking the MLS final stretch, the USMNT’s latest roster call up and spending some time analyzing the weekend of Premier League upsets with listener questions sprinkled within. The usual suspects of Fantasy Update, Winners & Wankers and League 2 Watch all return, alongside Jeremy’s latest Wrong Side of the Argument. Don’t forget to hit us up via the social media links at the bottom of the page or drop an email to contact@wrongsideofthepond.com to send us your questions and topics for next week. And don’t forget to subscribe to automatically receive the newest podcast each Tuesday.